Dr. Agha is one of Newport Beach's most respected and trusted plastic surgeons with over 10 years of experience and thousands of happy patients. "Dr. Agha spent almost an hour on my consultation and gave me various options to choose from. He shared a genuine interest in what I wanted and spent a lot of time simply listening. His engaging, wonderful personality, and great sense of humor put me at ease. He explains the procedures in such detail, I hardly had any questions." Internationally recognized as an expert in body contouring procedures. An Active Member of the American Society of Plastic Surgeons. A diplomat of the American Board of Plastic Surgeons. A Member of the Orange County Society of Plastic Surgeons. A Fellow of the American College of Surgeons. Specialized in Plastic Surgery After Weight Loss and Extreme Makeovers. Dr. Agha performs one of the highest numbers of body lift surgeries in the country, if not, the world. Below we have included Dr. Agha’s practice profile. This is the number of procedures that a board certified plastic surgeon performs in a typical year. The data is annually gathered by the American Society of Aesthetic Plastic Surgeons and displayed on their site A summary version of the report is prepared for your information. 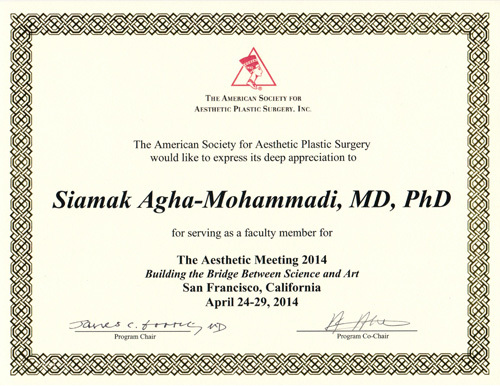 Dr. Agha has been invited for the 5th consecutive year to teach plastic surgeons at the annual meeting of the American Society of Aesthetic plastic Surgeon as an expert in the field of plastic surgery after weight loss and body contouring. Dr. Agha will be teaching on the total body lift. 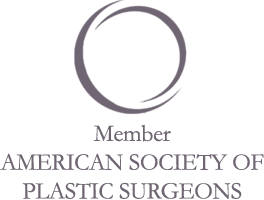 The American Society for Aesthetic Plastic Surgery (ASAPS), founded in 1967, is the leading professional organization of plastic surgeons certified by the American Board of Plastic Surgery who specialize in cosmetic plastic surgery. Dr. Agha, strengthens the American Society for Aesthetic Plastic Surgery mission by providing high quality medical education and research to it's members. Dr. Agha co-pioneered the Spiral thigh lift technique together with Dr. D. Hurwitz. Spiral Thigh Lift ™ is the signature thigh lift procedurethat we developed for those who have vertical laxity ofthe thighs. 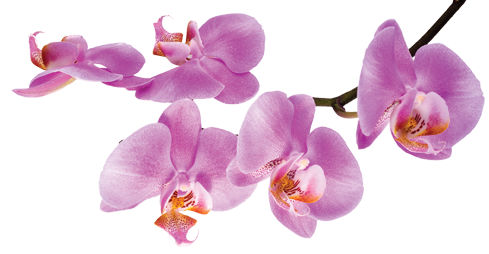 Dr. Agha is the creator of the High-Definition Body Lift procedure. Since 2005, Dr. Agha performs his signature body contouring procedure that aims to return a three-dimensional correction to the body. Dr. Agha co-pioneered the Spiral thigh lift technique together with Dr. D. Hurwitz. This technique was published in plastic surgery textbook "Encyclopedia of Body Sculpting after Massive Weight Loss"; in 2010. Dr. Agha co-pioneered the Dermal Bra Suspension Breast Lift technique together with Dr. P. Rubin. 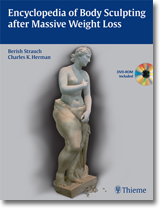 This technique was published in plastic surgery textbook "Aesthetic Surgery After Massive Weight Loss"; in 2006. Dr. Agha co-pioneered the Spiral flap breast augmentation technique together with Dr. D. Hurwitz. This technique was published in the Annuals of plastic surgery in 2005. Dr. Agha is the co-author of Breast Surgery in Massive Weight Loss Patients. This book chapter was written for "Cosmetic and Reconstructive Breast Surgery" textbook; in 2008. Dr. Agha is the co-author of Autologous Flap Use in Breast Reshaping after Massive Weight Loss. This book chapter was written for "Aesthetic and Reconstructive Surgery of the Breast"; in 2012. 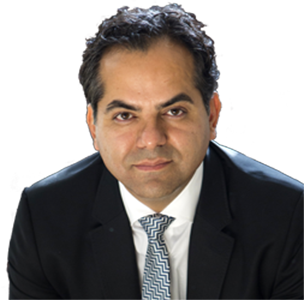 Dr. Agha is the author of Management of Upper Abdominal Laxity After Massive Weight Loss: Reverse Abdominoplasty and Inframammary Fold Reconstruction published in Aesthetic Plastic Surgery in 2010. Dr. Agha is the author of Nutritional Deficiencies of Post-bariatric Body Contouring Patients published in Plastic and Reconstructive Surgery Journal (2008). Dr. Agha is the author of Potential Impacts of Nutritional Deficiency of Postbariatric Patients on Body Contouring Surgery published in Plastic and Reconstructive Surgery Journal (2008).